When cavities and decay reduce the strength and integrity of your teeth, dental fillings help preserve your natural tooth. At The Diablo Dental Group in Danville, California, the experienced dental team offers tooth-colored fillings to repair damaged teeth and prevent oral health issues. The natural-looking, tooth-colored materials ensure your smile looks great. If you need to fix a cavity, don’t delay treatment. You can book an appointment online or by calling the office today. Dental fillings are a safe, effective way to address cavities and tooth decay. Bacteria and food debris cause the breakdown of your enamel, forming cavities that can grow bigger without treatment. Untreated tooth decay results in pain and increases your risk of developing an infection. Fillings are made with dental-safe material that fills in the hole and restores the strength of your tooth. They also prevent bacteria and other debris from invading the root of your tooth, leading to pain and infection. 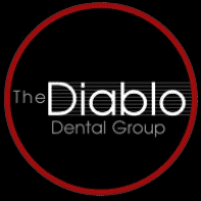 The Diablo Dental Group uses fillings to repair teeth with mild to moderate damage. If your tooth is severely decayed, you may need another restorative procedure or an extraction. What can I expect during a filling procedure? After a thorough evaluation of your oral health, The Diablo Dental Group team removes areas of decay before applying the filling material. To keep you comfortable during the procedure, your provider uses a local anesthetic injection that numbs the treatment area. For the filling, your dentist uses a tooth-colored resin material that bonds to your natural tooth and quickly hardens. Next, the filling is shaped by removing excess material to ensure your tooth looks and feels just like your natural teeth. Fillings restore the structure of your tooth to prevent pain and infection. By closing the hole made by cavities and decay, food particles and bacteria can’t access the root of your tooth. Tooth-colored fillings match the rest of your natural teeth, giving your smile a natural, healthy appearance. The material used in the fillings is also safe for your health and very durable. By utilizing fillings to repair teeth damaged by tooth decay, you can also resume eating and drinking without sensitivity or pain. The durable material is designed to last, ensuring you enjoy long-term results. What should I do if I lose a filling? There’s always a risk that a filling can come loose. If you suspect your filling is cracked or has fallen out, schedule a dental evaluation as soon as possible. The dental team can replace the filling and prevent additional damage to your natural tooth. Waiting too long to replace a damaged or lost filling can result in additional cavities or the loss of your tooth. Delaying treatment for tooth decay can make your problems worse. Schedule a dental evaluation now with The Diablo Dental Group team to address cavities by calling the office or using the online booking feature.